The automated alarm brazenly repeated its earlier message to evacuate the building. Seconds later the property representative again said, “Do not leave; this is a false alarm”. By this time, some attendees left the event while others opted to stay. The mixed messages led to mixed results as attendees did not know which directive to follow. Thankfully it was soon proven that the automated message had indeed been a false alarm. I was one of the many attendees who opted to stay, and I’m so glad I did. The memorable keynote was inspirational; the event was very well executed by its sponsor; and attendees enjoyed wonderful conversation with colleagues… all of which were desired results that could have been derailed due to the mixed messages of evacuate versus stay. In the midst of the confusion, it occurred to me that similar situations frequently take place in Corporate America when leaders send mixed messages to their employees. These mixed messages contribute to teams’ falling short of achieving the right results. Accountability starts and stops with leaders as it is the leaders’ responsibility to be crystal clear with employees regarding expectations. When leaders send mixed messages to followers regarding the work to be completed, it’s like blindfolding employees, spinning them around, giving them darts and telling them to hit the targets. The desired results are not likely to occur. 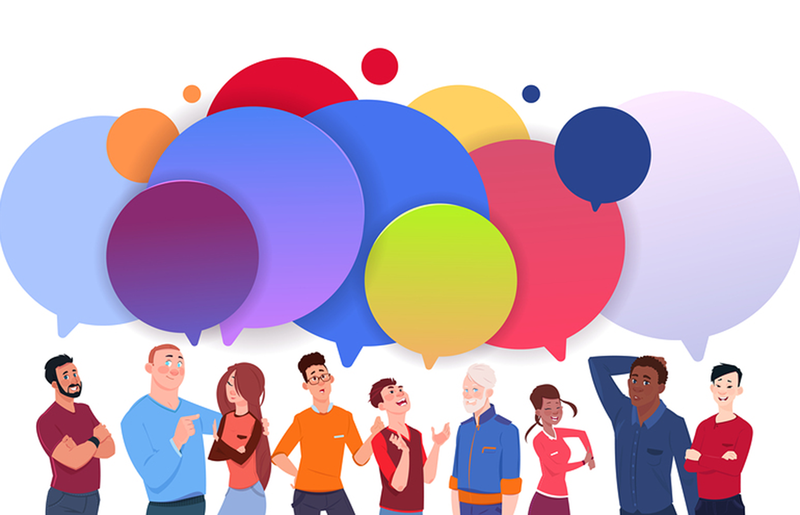 I have found that when employees receive clear messages regarding what is expected of them, they are actually relieved because they know exactly what they are to accomplish. There is no confusion about the work to be done… no evacuate versus stay… no peddle-brake, peddle-brake which can cause employee whiplash in the workplace. When expectations are not clearly expressed, leaders should not be surprised when employees are frustrated and teams fail to deliver. In these situations, it is actually the leader who has failed the team because he or she was not purposeful in defining expectations in advance. Let me be crystal clear. Mixed messages prevent us from optimizing our most precious and expensive organizational assets … our employees! As you communicate with your team every day, I invite you to embrace the reality that accountability really does start and stop with the leader. Avoid mixed messages at all costs and be completely clear with your team members regarding the work you need them to accomplish. For more information about accountability tips that are applicable within organizations of all types, please see Chapter 12 in Gracious Leadership: Lead Like You’ve Never Led Before available on Amazon or on my website. 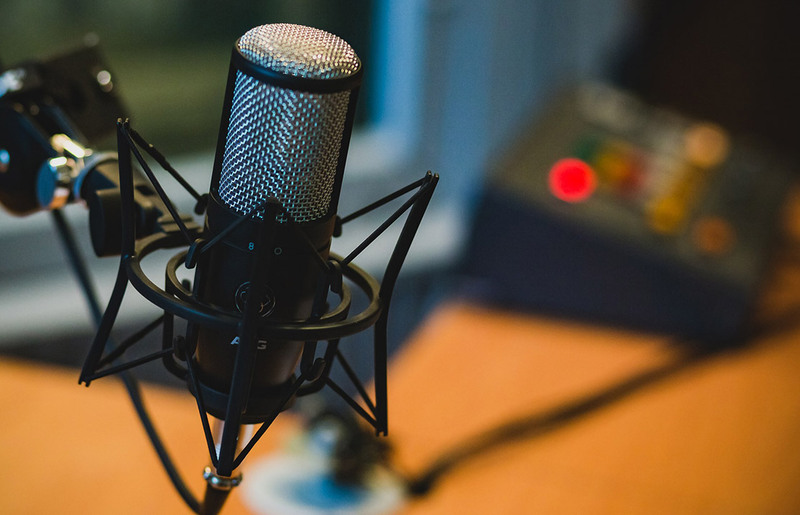 I was recently invited by Betty Collins of Brady Ware and Company to participate in an episode of her Inspiring Women with Betty Collins podcast which was released on April 8, 2019. Listen to the podcast below or find it on your favorite podcasting app via the show’s page. Everywhere today you see people are looking for great leadership. When you’re a leader, you can influence. You can change your world around you. You can impact people in your life and organizations. You can be part of success because of your leadership and influence. And you can use that title responsibly for yourself as well as for others. Leadership, influence, AND the title are all one package deal. One of the people whom I love, I’ve heard speak, and read her book on leadership, is Janet Smith Meeks. She is so passionate about how we can lead. She wrote a book called Gracious Leadership. You should check it out. It’s really good. She lives it. She wants to change the world for the good. She’s a leader because she influences those around her. And I’m am so thrilled to have interviewed her for this episode. This episode is part one of my two part interview with her. While many things in life appear to be constantly changing, one pressure point for leaders seems to remain ever-present. We are all required to do more with less! Across many industries, margins are tight and expenses continue to increase. The requirement for leaders to produce targeted bottom lines no doubt contributes to much of the stress that exists within Corporate America. This push for elevated profitability remains true within for-profit and non-profit organizations alike. Techniques such as LEAN are clearly helpful in seeking greater efficiencies within the workplace. Broad-based strategies to cut costs are often implemented and can sometimes result in lay-offs with corresponding declines in overall employee morale. Although not reflected as a line item within financial statements, a disengaged workforce carries a very high price tag. A recent Gallup survey reported the cost of employee disengagement associated with lost productivity alone is $7 trillion. 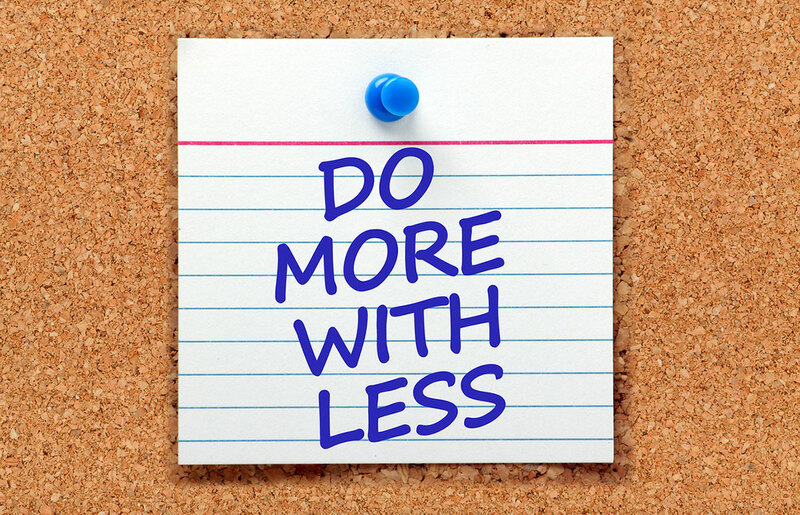 The imperative to do more with less is likely here to stay. Yet in lieu of focusing solely upon cost reduction strategies, I have always believed you cannot cut your way to sustainable prosperity. What is it that leaders can do to achieve maximum utility from their most expensive organizational resource… their employees? 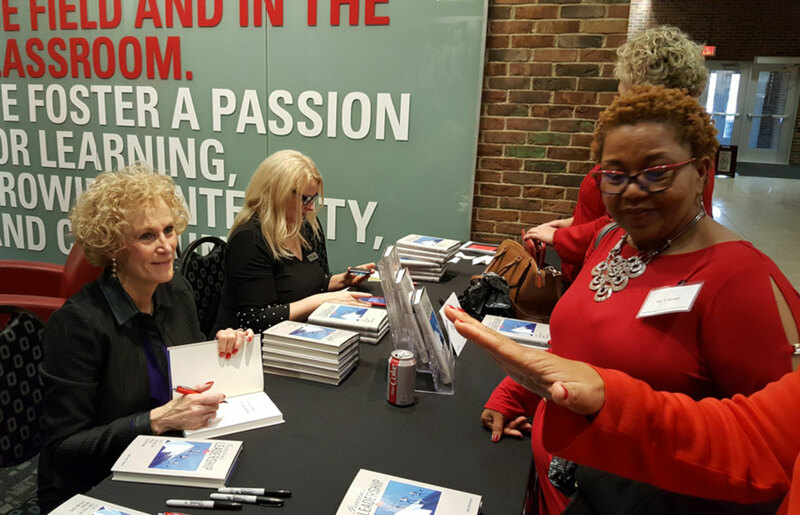 Within Gracious Leadership: Lead Like You’ve Never Led Before, I share practical suggestions for unleashing the potential of your workforce by taking a few simple steps. Within the chapter regarding the Head-Heart Connection, you can read about the difference between what employees are required to do based upon their job descriptions and what they are inspired to do from within their hearts. While I was working within the Finance Industry, hospital employees who were complete strangers transformed my life. They did so much more than meet my clinical needs. They treated me like I was the only patient in their world. I can guarantee their job descriptions did not require their seemingly small acts of kindness that far transcended my clinical needs. It was from within their hearts that they were inspired to “love” me through what was the deepest valley of my life. Four months after this experience, I left the Finance Industry and entered the field of healthcare. These employees were role models of the Head-Heart Connection, and they changed my life forever! Not only is it a leader’s opportunity to unlock the potential of the Head-Heart Connection, but it is also our responsibility to optimize our organizations’ most expensive and most precious asset… our people! It is the leader’s responsibility to help employees see the connection between what they do every day and the organization’s mission and goals. When employees realize the value of the work they do and, more specifically, how “what” they do really does make a difference, their hearts can take over and release the untapped potential that has been dormant for years. What will you do differently as a leader to achieve more with less by unleashing the potential of your employees? It’s not hard. You just have to be purposeful and sincere as you help your team discover the Head-Heart Connection and understand how each and every one of them is making a difference. Gracious Leadership: Lead Like You’ve Never Led Before includes an easy to use exercise to guide your employees in understanding the true impact of their work. For more information about the Head-Heart Connection and other strategies you can implement as you aspire to do more with less, visit www.graciousleadershipbook.com. I can’t believe it! This week marks the one-year anniversary of the official launch of Gracious Leadership: Lead Like You’ve Never Led Before. While the introduction of the book seems like yesterday, the year has been incredibly fruitful. I am happy to share that the message of fully respectful leadership is spreading far and wide. Healthcare organizations from coast to coast have embraced the book to infuse its principles throughout their leadership teams. Leaders from community hospitals, faith-based healthcare systems, academic medical centers, physician organizations, healthcare professional membership organizations, senior living entities, and organ procurement organizations (among others) have been enthusiastic as they seek to bring to life the Key Ingredients of Gracious Leadership. A large financial services company started a Book Club for leaders to study the book together and explore the Conversation Starters at the end of most chapters. Another large financial services organization was so enthusiastic about Gracious Leadership that its market leadership hosted a special event and also sent a communique regarding Gracious Leadership to its Women’s Network across the nation. A CFO from the transportation industry is spreading the word about the impact of Gracious Leadership across all industries and organizations. Why? 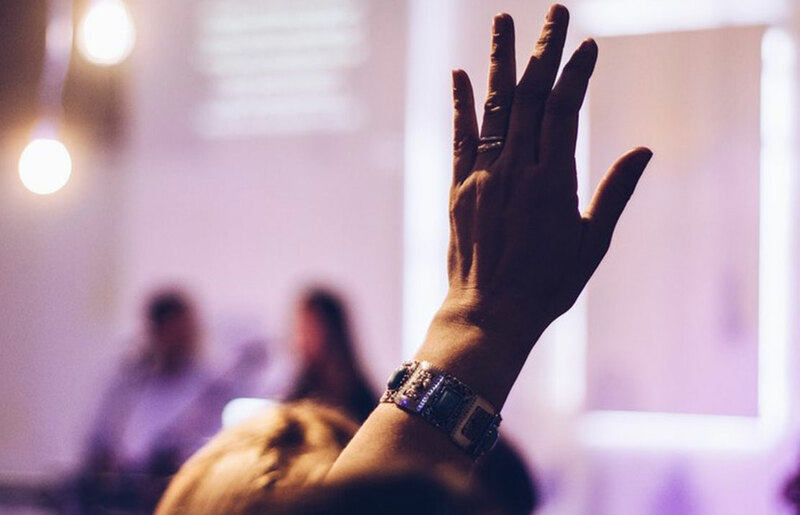 Because the Key Ingredients of Gracious Leadership are equally as applicable in organizations of all types: for-profit and non-profit, community groups and even governmental entities. I have been touched to hear the stories from rising leaders who read the chapter entitled “Gracious Leaders are Courageous” and, in particular, the section regarding the need to advocate for others and for ourselves. These individuals have already been successful in landing expanded roles that they are confident might not have materialized had they not raised their hands and asked for advancement. 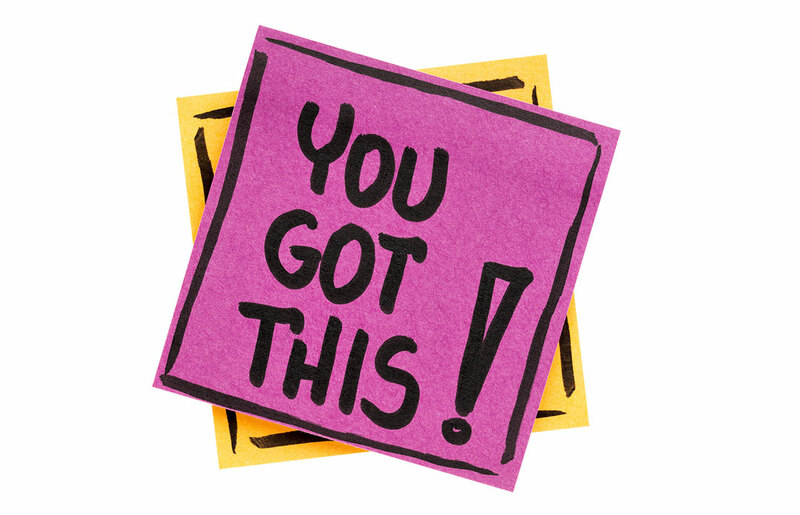 Just this week I heard from a medical practice manager who shared that as soon as she learned of her new, broader responsibilities, she reread the book and is focusing upon a few pragmatic steps she believes will help her be successful. I even had a reader share that the book helped her know how better to manage her elderly mother’s caregivers as she was reminded of the power of recognition. The examples go on and on. It is both humbling and exhilarating that Gracious Leadership has already made a positive impact. Yet, we are just getting started. Why? Because never in the history of our country has high profile, toxic leadership been so persuasive and destructive. It has been reported that 30% of leaders are toxic! Why is it that negative leaders are the ones who seem to receive the most attention in the media? What are “we” going to do to shine a bright light on a better way to lead and to serve as role models who can breathe life into and stir the passion that resides within the hearts and souls of employees at all levels? Thank you for your support of Gracious Leadership during the book’s first year. For those who have already joined the Gracious Leadership Movement, I am grateful for your proactive stance in helping to restore respect, decency and civility within the workplace. For those who have not yet read the book, I encourage you to learn more and start your journey today to become a Gracious Leader who can guide your team to peak performance. Please continue to share with me your stories about how Gracious Leadership has made a positive impact on your professional life, your organization and those with whom you serve. Feel free to contact me at jmeeks@graciousleadershipbook.com. Several years ago, as I was making a presentation to a group of rising female leaders in Columbus, I encouraged the participants to ask questions. I further shared that any question would be welcomed, regardless of the topic. After I had completed my material, I opened the floor for Q&A. While I expected the queries to relate to some aspect of leadership, I shall never forget the first question posed by a young woman who was sitting in the front row. She wanted to know what guidance I might provide as male colleagues in her office whose wives were stay-at-home moms were openly critical of her because she chose to work outside the home. I immediately had a flashback to my own experiences as a young mother who chose to pursue a professional career. I recalled the hurtful, open criticism I received from some mothers who opted to stay home after their babies were born. I vividly remembered that, shortly after the birth of my older daughter, a 70-year-old single, female consultant admonished me, stating that I couldn’t be an accomplished professional AND concurrently be a great mother. Of course, hearing what sounded to me like heresy further fueled my passion to excel at both. In the midst of the negative memories that the young woman’s question stirred, I also remembered with great affection a friend who remains special to me. This particular friend had chosen to stay at home with her children whereas my aspiration was to pursue a professional career while also striving to be a wonderful mother. Early mornings were not my friend’s favorite time of day. As an Early Bird, I was typically up before 5:00 AM to jog prior to getting my daughters ready for school. While my friend and I could easily have fallen prey to the “all too common “ trap of criticizing other people to justify our own respective choices, we instead found a way to support one another. As a result, I drove the early morning carpool (which helped my friend), and she picked up the children after school (which certainly helped me). I was recently thinking about this special friend and our mutual respect for our different convictions and corresponding support for one another. This led to my reflecting upon how, in 2018, our nation has become more polarized than we could ever have imagined. Regrettably, the crescendo of angst is accelerating as myriad individuals with different political and social convictions believe they are right and to @*#& with people who have different points of view. Hatred and divisiveness appear to be encouraged on a daily basis. In short, this has got to stop. As we begin the new year, may we all be challenged to communicate our passionate convictions (including spirited debate) with civility, decency and respect. May we look for common ground through which we might support one another. May we be reminded that other individuals are not necessarily bad or wrong because their views are not in lockstep with ours. May we embrace the possibility that it’s ok to agree to disagree so long as we do so with kindness. And lastly, may we be resolute in knowing that as different as all of us may appear to be, at our very core, we are all the same. Oh, by the way, I did share some guidance with the young woman who posed that sensitive and vital question. More about those thoughts in a future blog! Have a kind and respectful new year! Blessings to you all… or should I say… to ya’ll!?! Last week America lost one of her most memorable leaders with the passing of President George Herbert Walker Bush. This War Hero selflessly served his country for decades and left us with a legacy of “how” great leaders are supposed to lead. In the celebration of his life, those who knew him well repeatedly described him as gracious, decent and humble. We were told that he knew each of his Secret Service agents as unique individuals. A man with a most demanding schedule, we learned that when he passed an employee who was known to have had an ill child, he took the time to inquire as to the little one’s well-being. 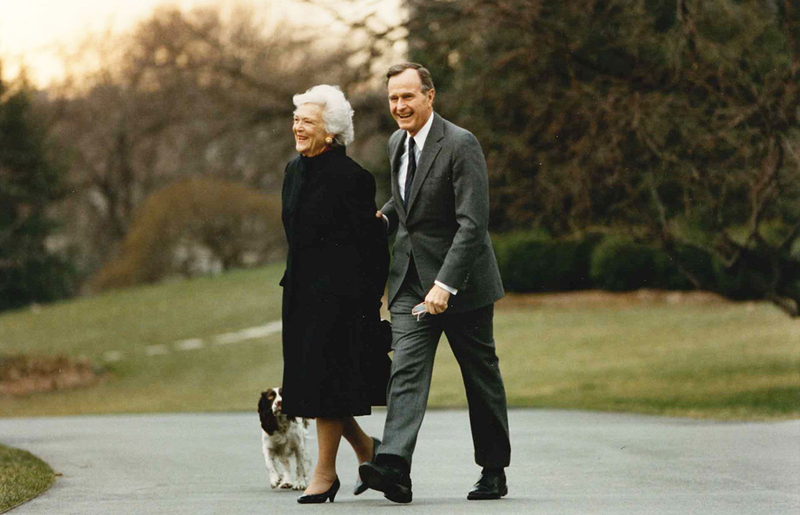 And, among many other lessons of leadership he taught us, we learned about President Bush’s gift of building relationships with individuals ranging from front-line employees to world leaders. He knew that through trust-based relationships, more could be accomplished more quickly for the benefit of the greater good. George H. W. Bush taught us that leaders must role model simple, yet powerful acts of good manners and kindness. The leader of the free world, President Bush was known to be humble as he deflected praise and made it his practice to place the spotlight on others. Great leaders are not without controversy, and George H. W. Bush was certainly no exception. He made decisions that, although not popular, reflected his conviction to act in the best interest of our country. Yet, as our nation began to mourn his passing, the controversy and negativity of the past took a back seat to the resounding, harmonic message of “how” great leaders are supposed to lead. I believe that the recent focus on the leadership legacy of George H. W. Bush has provided a breath of fresh air in a country that seems to be drowning in a sea of leadership toxicity. In fact, I believe that most Americans are gasping for the life-saving oxygen that gracious, decent and humble leadership can provide. I rather suspect that George H. W. Bush left this earth without a full appreciation of the long-lasting, positive impact his leadership example will provide… especially at this point in our history. What lessons can we learn from his legacy of leadership? More importantly, what will each of us do differently in our respective organizations to lead in a more gracious, decent and humble manner? From non-profit to proprietary organizations and from universities to governmental entities led by elected officials… regrettably, there is currently no shortage of examples in America for how “not” to lead. I challenge you to join in the movement to become a fully respectful leader. The time is now, and those who follow you at work, at home and in the community at large are counting on you. Let’s carry forth the legacy of President 41 who taught us “how” to lead by becoming gracious, decent and humble leaders… starting today! Several weeks ago, I had long-delayed, but much-needed surgery on my foot. I opted to get this surgery behind me prior to the beginning of the busy Holiday season. I am grateful for a highly competent, caring surgeon who is leading the way to get me back into my jogging shoes and on the road again as soon as possible. For me, slowing down is difficult at best, and I am learning a lot about the imperative for patience. I’m spending six weeks in a “fashion statement” orthopedic boot with crutches as a required accessory. I then eagerly anticipate six weeks of PT. Within the first two phases of the surgeon’s game plan, we’re three weeks down… nine weeks to go. How has this required pause in my routine impacted me as I’m typically “pedal to the metal”? The answer…. much more than I expected! The inability to be readily mobile means that I have been unable to take care of the most basic needs of daily life. While I already knew my husband was Prince Charming, he has been nothing short of amazing during this entire journey as he is taking remarkable care of me. What have I learned from this experience? In short, I have learned the importance of being purposefully grateful for little things that, heretofore, I had taken for granted. I learned that I should never take lightly the extraordinary gift of independence that mobility provides… such as the ease of getting into and out of the shower… going up one step, to say nothing of traversing an entire flight of stairs. With my admittedly stubborn insistence to regain independence, I learned how exhausting it can be to retrieve soup from the refrigerator, pour it into a bowl and then place the bowl in the microwave…. not to mention having to get a spoon from that “far away drawer” so I could actually eat the warmed soup before placing the empty bowl in the dishwasher. Whew! I learned that a trip to Costco could provide to me as much fun as a fieldtrip for a third grader. Being elated to leave the house, I was reminded how beautiful the autumn leaves are just before falling from the trees. And as a Type A who always has our Christmas tree up prior to Thanksgiving, this past Saturday I sat on the sidelines and witnessed the excitement and sincerity of our two toddler granddaughters as these little ones and their mothers carefully placed each Christmas ornament in its own special spot on the tree. At a time in our nation’s history when civility and decency appear to have been forgotten, I found myself being the welcomed recipient of kindness from strangers as they would hurry to open the door when I entered or exited the restaurants where we were dining. And with great humility, I learned that those individuals who find themselves with long-term immobility truly deserve our accolades as they struggle every day to accomplish routine tasks that most of us take for granted. Yes, this temporary experience of immobility has provided me a bird’s eye view of how easy it is for us to take for granted the little things in life that really make a big difference. As leaders, we do the very same thing as we get caught up in the hustle and bustle of our daily routines. How easy it is for us to take for granted the little things our employees do every day that make a big difference for our organizations and our communities. 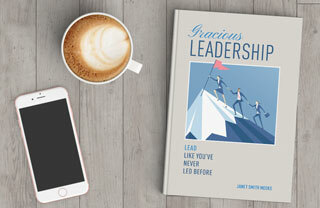 In Gracious Leadership: Lead Like You’ve Never Led Before, I devoted a chapter to the critically important belief that Gracious Leaders Are Grateful. Within this chapter, I challenge leaders to embrace the probability that extraordinary results can be achieved by ordinary people when leaders are purposeful in expressing gratitude. 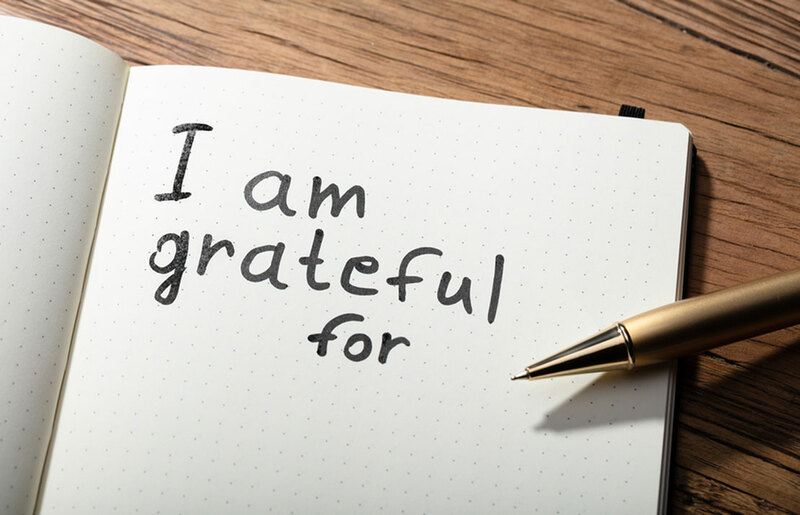 In an era in which all leaders must constantly figure out how to do more with less, the power of a simple and sincere “Thank you” is immeasurable. You see, employees are starving to know they are making a difference, and as leaders, it’s our responsibility to ensure they know we are grateful for all they do. What better time than now to start looking for opportunities to say “Thank you” to your team members! During this special week when individuals throughout our nation are pausing to reflect upon all for which we should be grateful, I plan on being at the head of the line. I’m so thankful for excellent health and to be well on my way to restored mobility. I’m grateful for my loving husband for being my best friend and soulmate in this journey called life. I’m grateful for my daughters for blessing me with the most gratifying job I’ll ever have… that of being a mother. I’m grateful for all my family and friends, both near and far, for the care and love that they selflessly share. And, I’m thankful for those individuals from coast to coast who are uniting in a deep conviction that respect and civility can be restored in organizations of all types when we all are accountable to lead with goodness and with grace. Blessings to you and yours during this holiday season of gratitude. While I can’t physically run the Turkey Trot this Thursday, I’ll be cheering from afar and will look forward to being back on the road again soon! Last summer my husband and I spent a week at a Dude Ranch in Colorado. As we prepared for this vacation, I expected to participate in new and different outdoor activities. Little did I know that during this week of adventure, I would learn important lessons about leadership. We decided to experience white water rafting in a nearby river. What we didn’t realize was that the river was running wildly as the snow was quickly melting from the beautiful Rocky Mountains. Prior to our departure, we were given a tutorial in safety measures, and we were told to follow our guide’s instructions. We then climbed into the raft and started our journey. The guide then pulled our raft over to shore and became very serious. She shared we were about to hit some very rough rapids. She gave specific instructions on how to traverse the rocky waters. She was emphatic that to ensure our well-being, we were to follow her instructions precisely and to function well as a team. We didn’t realize we were heading for a level four rapid. As we approached the rocky waters, my anxiety grew. We started down the rapid and while our raft felt incredibly unsafe, we did not capsize as did other rafts within site. However, an elderly man from our raft had gone overboard. The man’s son was rightfully frantic as he feared for his father’s safety. Yet in the midst of this “storm,” the guide stayed focused on her game plan. She provided clear instructions to the team. She shared that her first priority was to get eight people safely to dry land and that she would ensure the elderly man would be rescued. This experience reinforced to me the leader’s role in navigating an organization through white water down cycles that are inevitable within any business. Like the guide, a great leader coaches the team comfortably through the good times and anticipates rocky waters before they are encountered. A great leader prepares followers by teaching them to adhere to guidance and to execute flawless teamwork. A great leader remains focused on the game plan but makes “in the moment” adaptations when circumstances change. And, a great leader looks out for the interest of the greater good while also showing extraordinary respect for every stakeholder. I learned about leadership from that rafting experience last summer. 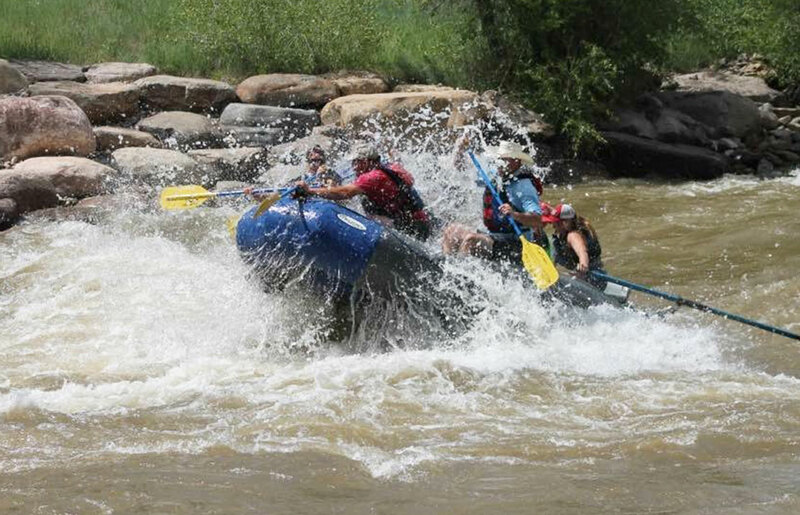 From the white waters of a Colorado river to the C-suite or boardroom, the leader’s anticipation, team preparation, focus and adaptation are all required to ensure sustainable organizational success in the midst of difficult times. And yes, the elderly gentleman was safely reunited with his son and quickly traded his seat in the raft for a welcomed glass of wine.